Maybe you have wondered what being a pet sitter is all about. Is that a possible career choice for you? Or maybe you are curious as to what goes on during a pet sitter’s typical day after having hired one to care for your pet while you are away. Well, we can’t promise you that the typical day’s work of a pet sitter is easy or even always glamorous. However, we can assure you that it is a rewarding job, even though it can be busy, and the joy that comes from caring for animals is like none other. It’s the beginning of the day and there are 10 clients that need your services today. You wake up, shower, throw on comfortable clothing that can afford to get dirty, and then you race out the door. You arrive at the first client’s home. It is time to greet the dogs, give them some loving, feed them, let them out, walk them and play with them. The best part? The dogs are so excited to see you that it makes waking up early and having a jam-packed day totally worth it. Don’t forget to head over to the cat’s house to clean the litter box, provide clean water and give lots of belly rubs and back rubs. The owners also have a lizard, so while you are there, you will need to feed the lizard a worm, get him clean water and make sure his cage is at the proper temperature and the heat lamp is not touching the sides of the cage, as that can be a fire hazard. After taking care of the first nine clients, it is time to head to the hotel to take Tobin for a walk. The Great Dane is staying in the hotel while his owner is in a business meeting that day. You greet Tobin, give him some scratches behind the ear, and off the two of you go for a walk. 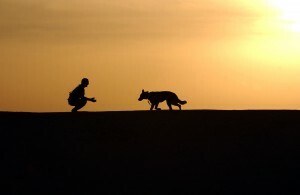 At most client’s homes, the dogs not only need lots of tender loving care, but they also need to get in some exercise. You need to leave enough time at each client’s home to make sure the dogs are getting outside, burning off some extra energy and receiving healthy exercise. Administering medicine is another critical job. Tobin needs an insulin shot after his walk, Rocco needs anti-seizure medication and Champ needs a different type of injection with each meal. This pet sitting business can be tough stuff. After visiting the morning clients and hotel clients, the animals need to be revisited to stay on their routine lunch and dinner schedules as well. You have just finished your 10 morning rounds, you quickly scarf down a bite of food for yourself, and now it is back to square one to feed all the clients lunch (if they eat lunch), and later on in the day, dinner. Don’t forget the fresh water. The cats might only need fresh food once a day, but some of your doggy friends might need lunch and dinner. But the day is not over yet. You have one client lined up for an overnight stay. Because Champ doesn’t do well being alone at night, the owner hired you to stay the night at the house and watch Champ to make sure he stays safe and sound. The next morning, you wake up, feed Champ, let him out, walk him, and it is back to a clean slate again – a new day to redo everything that was just done the day before. It is no secret that the life of a pet sitter is busy. But one of the most rewarding things about this job is being able to love and care for precious animals that capture your heart, and receiving that love in return is a precious gift. With each house you visit, the pet is so excited to greet you again for another day. They’re glad you’re back, and you’re happy about it, too. At Cane Bay, we absolutely love what we do. Being able to pet sit is truly a privilege, and it is what we are most passionate about. We would be honored to have the chance to watch your furry friend. If you are going away or have a busy schedule and are in need of a pet sitter, feel free to contact us at 843-879-0822, or send us an email at info@canebaypetsitting.com.